BRYAN EATON/Staff photo. 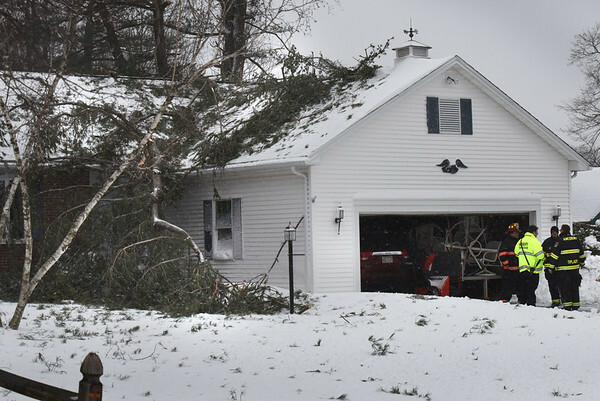 A white pine limb fell onto this house at 12 Ridgemere Way off Whitehall Road in Amesbury. A woman was home at the time and transported to a hospital as a precaution.